Trying to navigate through school at any age is one thing – trying to navigate through school learning in both English and Spanish at only nine years old is another. For Elizabeth Vazquez, it was crucial for her son Alex to go to a school that was both accepting and nurturing of her son working in dual languages. With a tax credit scholarship from the AAA Scholarship Foundation, Alex Vazquez now has the opportunity to change his life, starting with his education. As a mother of three, Elizabeth Vazquez was hesitant to pack up her family’s life in Iowa and move across the country to Arizona. It helped that she had family awaiting their arrival; however, she knew this would be a much harder adjustment on her children than she wanted. 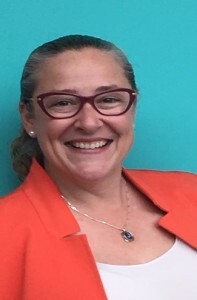 Prior to moving, Elizabeth attended graduate school in hopes of becoming a teacher. Unfortunately, moving meant she had to postpone graduating to ensure that her children were adjusting well to their new home. This left her jobless, which affected her family both academically and financially. When picking the right school for her child, Elizabeth was limited. For Alex, she needed him to be in an environment that would challenge him in dual languages. Elizabeth turned to her family for guidance. When expressing her concerns, her family told her about St. John Vianney Catholic School. Elizabeth felt excited that not only were close relatives already attending this school, but it also had everything she was looking for: attentive teachers and smaller classroom sizes where the students had more one-on-one time with their teachers. Upon visiting, she was also informed that the school was based around a “supporting as a whole” motto. They didn’t just want their students to succeed grade wise, but learn how to become good citizens during their time there as well. Elizabeth knew in her heart that this was the school where Alex, and hopefully her other children, would succeed, and she was going to do everything in her power to get him there. After weeks of research, she learned that she was eligible to apply for a scholarship for Alex. The transition to a new school was difficult in the beginning, especially for Alex. Because dual language put him farther behind than his peers, both he and Elizabeth feared that he would not be able to catch up in time. This was a new school for him with different rules and regulations, and even though it was a priority for Alex to continue learning dual languages, there was a chance that the teachers would put their focus on teaching Alex in just English, when his primary language was Spanish. Although not a dual language school, Elizabeth was surprised to find that the teachers at St. John Vianney were more than supportive of this request. Since starting, she has seen a tremendous improvement in her son both academically and socially. Now in the fourth grade, the teachers at St. John Vianney were able to get Alex above grade level with his studies, particularly in reading. Instead of feeling like an outsider, Alex has been taught to embrace his cultural background and to continue challenging himself. Once falling behind in his classes, Alex is now getting A’s and B’s on a regular basis, and Elizabeth can see an overall improvement just by the way he speaks. No longer timid, Alex is enthusiastic to learn. This wouldn’t have been possible without the support from his mother and the AAA Scholarship Foundation. Helen DeWitt and her husband Dale were only married three days when three children were dropped off at their home to be under their care. They would be the first of many children – both biological and otherwise – that the DeWitts would provide a home of love and stability. Over the years, they had four biological children; one adopted child that was raised from birth in their home; and of the many children they fostered, five of them they eventually adopted as well. Two of their most recently adopted children – Anthony and Isabell – remain with Helen today and are recipients of scholarships from the AAA Scholarship Foundation. Both Anthony and Isabell had a rocky start in life, but with love and support from the DeWitts and the ability to learn in an environment suited to their needs, both children have been able to overcome their obstacles and thrive. Anthony and Isabell, who are biological half siblings, both came into the DeWitt family’s lives through the foster care system. Isabell, the younger of the two, was only 18 months old the first time she was placed with Helen and Dale, and would go back and forth between their home and biological relatives over the years. Anthony was five years old when he first came to live with the DeWitts, after being bounced between five different foster homes in his short life. After years of instability, both children were officially adopted by the DeWitts when Anthony was 7 years old and Isabell was 5 years old. They had finally found their forever home and the means to heal the wounds caused by their rough start in life. The next few years would not be without challenges, but as a family unit, they worked through it together. One of the many hurdles they faced was Anthony’s school environment. He had attended Kindergarten and first grade at the local public school, but when Helen learned of the bullying he was experiencing and related trouble it was causing, she pulled both him and Isabell out and opted to homeschool them instead. The two had experienced enough in their young lives and she did not want them to experience further trauma in a school environment that would further delay their progress. With no other options, Helen continued to homeschool both children throughout elementary school. However, a couple of years ago, a new school opened – Cochise SDA Christian School in Bisbee, Arizona – and she learned that her children would be able to attend school there with assistance from the AAA Scholarship Foundation under the Lexie’s Law program, which provides scholarships for eligible displaced (foster care) and disabled students. Although having her children attend Cochise SDA meant that Helen would be making an hour long commute each way, she felt the benefits they would receive at the school would far outweigh the sacrifices the family would make. She was right. With its small class sizes and close-knit environment, Cochise helped them transition from home school and expand their academic skills, develop new interests and further their musical talents, something that both children had become passionate about when they began singing in their church choir at a young age. 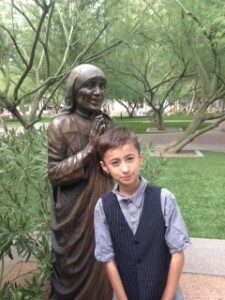 Anthony graduated from eighth grade at Cochise SDA in 2016, and was able to continue on to high school at Thunderbird Adventist Academy in Scottsdale with the continued help from a scholarship from the AAA Scholarship Foundation. Due to the distance from his family home, Anthony dorms at the school and returns home once a month. Despite the separation from his family, Anthony continued to set his sights on success and take full advantage of the opportunities available to him at the school. However, just as Anthony was starting his freshman year at Thunderbird and as Isabell was continuing on to eighth grade at Cochise SDA, the family encountered tragedy. 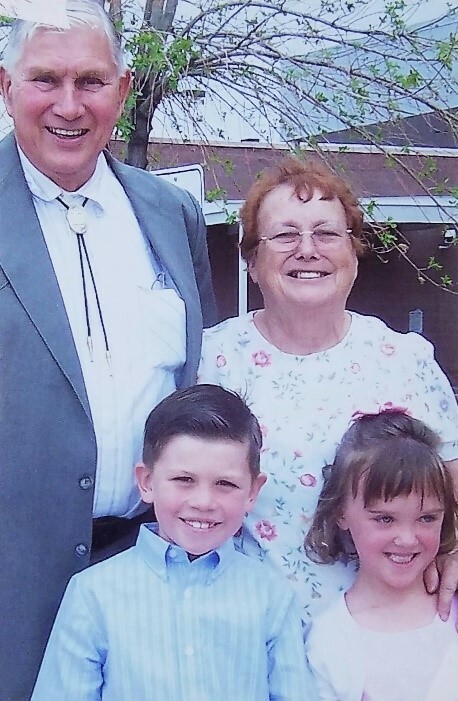 Dale DeWitt, their adoptive father and the man who had raised them as his own alongside Helen, went into a coma following complications from back surgery. Sadly, he passed away in December 2016. Losing their father took a toll out on both children. During her father’s final days, Isabell missed school and would spend hours reading and singing to him. Anthony fell behind in his studies as he worried about his father’s health and traveled back to be with his family during this difficult time. However, armed with the strength they provide each other, the family has been able to move forward and get back on track, taking it day by day. Anthony is finishing up ninth grade at Thunderbird, which has provided him with new challenges and experiences to further his academic career. While his favorite subject is English and he continues his love of music through the school’s chorale program, he has also developed a wide range of other interests and is eager to explore all his options for the future. For example, he participated in a ride along with the Scottsdale Police Department, prompting him to consider pursuing a degree in criminal justice. 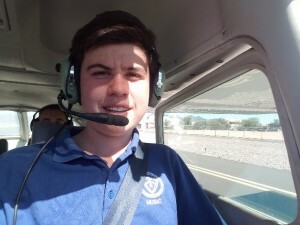 He has also recently developed an interest in aviation, and hopes to participate in Thunderbird’s aviation program next year. 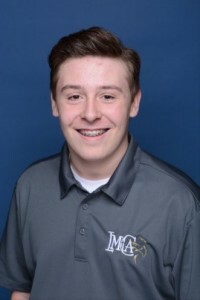 And for the past few years, he has volunteered with a local television station in his hometown, gaining valuable experience in television production and peaking his interest in a possible future career. In addition to his busy schedule during the school year, he also works in the school cafeteria to assist his family financially. Isabell continues to excel at Cochise SDA, where she has developed a strong interest in English and writing and has furthered her love of music and art. In her spare time, in addition to singing, writing and drawing, she enjoys helping others, perhaps something she learned from experiencing Helen and Dale’s giving spirits over the years. She regularly volunteers her time to help her neighbors with their animals and has also assisted with making quilts for charitable causes with her mom. Both Anthony and Isabell had to overcome tremendous hurdles to get where they are today. They were faced with an uncertain future from the start, but Helen and Dale DeWitt gave them the opportunity to flourish in a loving and secure home. And with help from the AAA Scholarship Foundation and its donors, they have been given access to educational tools that will enable them to take several steps further on a path towards a promising future. 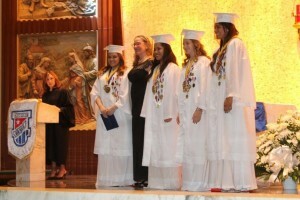 The AAA Scholarship Foundation awards scholarships solely to qualifying low-income, disabled and/or displaced students. The typical AAA Scholarship student is an ethnic minority living with a struggling single parent/caregiver in a high crime community. 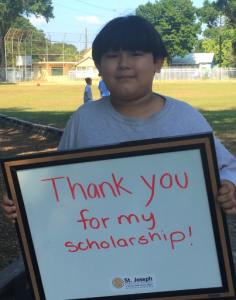 More than 85 percent of AAA scholarships are distributed to children at or below 185 percent of poverty. Many children are either below grade level, failing at their previous school or both when they receive a scholarship. Parents, who find their children in these circumstances and care about their future, look for viable options. They seek an atmosphere that challenges their child and will reverse inadequate learning, social patterns and the potential lifelong negative impact. They wish to change their child’s learning environment, acquaintances and the unfortunate predictable outcomes associated with school failure. AAA Scholarships are funded in Alabama, Arizona, Florida, Georgia, Nevada and Pennsylvania by corporations that redirect a portion of their state tax liability to the AAA Scholarship Foundation in exchange for a tax credit (dollar-for-dollar in Alabama, Arizona, Florida, Georgia and Nevada, and up to 90 percent in Pennsylvania). The AAA Scholarship Foundation is one of the only approved Scholarship 501(c)(3) Nonprofit Organizations exclusively serving qualifying low-income, disabled and/or displaced students through these Scholarship Tax Credit programs. AAA Scholarship Foundation provides your company with the convenience and efficiency of a single-solution for participating in multiple state tax credit scholarship programs. For more information, or to learn how your corporation can participate in the program, visit www.AAAScholarships.org, or contact Kerri Vaughan at kerri@aaascholarships.org or 888 707-2465 ext. 730. When speaking with Melanie Emery about her children, she lights up and you can feel the enormous amount of love, pride and protection she has for them. The three children she calls her “forever children” today were adopted through the foster care system – all of them siblings who were in need of a safe and nurturing home environment. Melanie and her husband Nick have given them that – and so much more. With no biological children of their own, Melanie and Nick felt called to become foster parents several years ago while residing in California. They soon welcomed into their home a young pair of siblings, Neveah and Grace, who were only 2 and 1 years old at the time. The sisters had a difficult start in life and were in need of love, security and extra care – all things that the Emerys were more than able and willing to provide. Eighteen months later, the Emery family was overjoyed when the girls became their “forever daughters” after finalizing their adoption. Eventually, a son named Josiah, Neveah and Grace’s biological baby brother, would join their family. 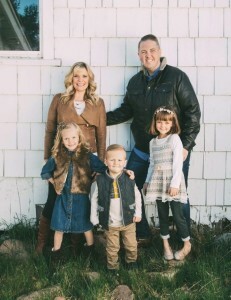 Shortly after they adopted Neveah and Grace, the family moved to Carson City, Nevada, where Nick began to serve as a senior pastor of a local church. Although the girls were very young when they came to live with Melanie and Nick and were thriving in their care, they still carried some of the after effects from their previous life. Realizing what an important role she would play in helping the children to overcome any scars from the past, Melanie devoted her time to caring for her children and ensuring their needs were met. And as the girls grew older, those needs included making sure they were able to learn in a safe environment that would help them grow and reach their full potential. Unfortunately, Melanie soon learned that the school they were zoned for was among the lowest performing schools in the area. Their oldest daughter, Neveah, was scheduled to start Kindergarten that year and Melanie was worried that the environment would not be suited to her needs, not just academically, but socially and emotionally as well given her history. However, with seemingly no other choice, they decided to give the school a chance. But when they brought Neveah to school on the first day of Kindergarten, they were shocked to learn that she had 37 children in her class – nearly double the amount of children in a typical or recommended class size for Kindergarten. Melanie worried that she would digress in a class this large and that the teacher would not be able to give her the individualized attention she desperately needed. Her worries became reality when, after only a few weeks in the class, Neveah began to feel overwhelmed, stressed and overstimulated at school. Fearing the long-term negative impact this would have on Neveah’s progress, both in school and at home, Melanie and Nick knew they would need to make a change. While searching for their options, they learned that their family qualified for the Nevada Educational Choice Scholarship Program through the AAA Scholarship Foundation, enabling them to choose a school environment that would meet their children’s learning needs and easing their financial worries. With the help from the AAA Scholarship Foundation, the Emery family found the right academic setting for Neveah in a local private school, and eventually her younger sister Grace joined her there, also on a AAA scholarship. With its smaller class sizes and family-like environment, the Emerys feel confident in the choice they have made in their children’s education. Now in the second grade, Neveah is excelling – academically, socially and emotionally. She is making all A’s in her classes and even taking piano lessons. Grace, currently in the first grade, is also making all A’s in her classes and even reading above grade level and moving on to more advanced work. The scholarships have eased the Emerys’ minds and helped them to be able to focus on their children, as well as their passion for helping others in the foster care system. Going through the foster care and adoption process themselves, and recognizing the overwhelming need for children to have a voice, Melanie and Nick became volunteers with the Carson City area CASA (Court Appointed Special Advocate), an organization that provides trained volunteers to act as liaisons for the children involved in child welfare cases in the court system in an effort to get them the best possible help and outcome. Seeing firsthand the positive outcome the right environment can have on a child – whether at home or at school – they are determined to make a difference for more children like their own. AAA Scholarships are funded in Alabama, Arizona, Florida, Georgia, Nevada and Pennsylvania by corporations that redirect a portion of their state tax liability to the AAA Scholarship Foundation in exchange for a tax credit (dollar-for-dollar in Alabama, Arizona, Florida, Georgia and Nevada, and up to 90 percent in Pennsylvania). The AAA Scholarship Foundation is one of the only approved Scholarship 501(c)(3) Nonprofit Organizations exclusively serving qualifying low-income, disabled and/or displaced students through these Scholarship Tax Credit programs. AAA Scholarship Foundation provides your company with the convenience and efficiency of a single-solution for participating in multiple state tax credit scholarship programs. For more information or to learn how your corporation can participate in the program, visit www.AAAScholarships.org, or contact Kerri Vaughan at kerri@aaascholarships.org or 888 707-2465 ext. 730. We first introduced Ky’Mier Bowie to our donors and friends in a 2015 AAA Scholarship Foundation spotlight story. At the time, Ky’Mier was a 10th grader at Fruitful Ground Christian Education Development Center, a school that had helped him regain his confidence and get back on track with his education. Today, he is a senior at the same school and working towards a promising future, thanks to the opportunities provided to him by the AAA Scholarship Foundation donors and his parent-selected school. Ky’Mier is the only child of Kristie Davis, a single parent and teacher who works hard to provide for her family. Although Ky’Mier had attended his local public school since Kindergarten, it was not until he reached 7th grade that his mother began to notice drastic changes in both his behavior and academic performance. He no longer liked school and, as his attitude declined, so did his grades. When he began to get into physical altercations with other students, Kristie confronted him about it and learned that he was being bullied, almost on a daily basis. Every day at work, Kristie was unable to concentrate as she worried about her son’s safety and emotional wellbeing at school, as well as the impact it was having on his education. As a teacher herself, she was aware of education statistics in Alabama, where 71 percent of 4th graders and 74 percent of 8th graders perform below the proficient level in reading, and less than 16 percent of 8th graders are proficient in math. Furthermore, 32 percent of African American high school students in the state do not graduate on time. She was determined to prevent her son from becoming another statistic. Kristie worked with the teachers and administrators at his school to come up with a solution, but she soon came to the conclusion that Ky’Mier would do better in a different environment. Her nephew was attending Fruitful Ground and she had heard wonderful things about his progress there, so she decided to visit the school and see if it would be a fit – and if she could afford it on her income as a public school pre-Kindergarten teacher. After visiting the school and discussing Ky’Mier’s challenges with Annetta Tate, the principal at Fruitful Ground, she was certain the school would be the solution Ky’Mier needed. She also soon learned that her family would qualify for a scholarship from the AAA Scholarship Foundation, making it possible to afford the tuition. A lot has changed in the few years Ky’Mier has attended Fruitful Ground. The supportive teachers and staff at the school have helped Ky’Mier regain his love of learning and, as a result, he is excelling. At 18 years old, he has developed into an articulate young man with exceptional writing skills and a grateful heart. 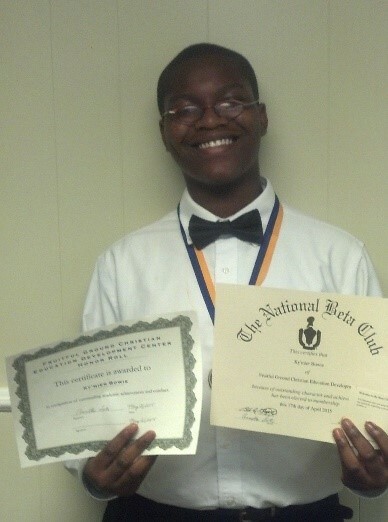 He no longer dreads going to school out of fear of being bullied by other students. And his low self-esteem has been replaced with a positive outlook on his future. However, his road to success has not been without bumps. Shortly after he began attending Fruitful Ground, he fell very ill and learned that he had type 1 diabetes. Thankfully, the supportive network he and his mother have found both at Fruitful Ground and the medical community has helped him adjust to a new lifestyle that will keep him healthy and thriving. With high school graduation quickly approaching, Ky’Mier has set his sights on his future endeavors. To coincide with his passion for animals, he is considering pursuing a career in zoology or a related field. He is actively looking into several colleges in Alabama and Florida and hopes to pursue higher education following graduation. Eager to gain some real-life work experience, he is also working with the local career center to help him land a summer job prior to entering college. As a backup plan, he has also considered following in the footsteps of his maternal grandfather and uncle and enrolling in the U.S. military. Whichever path he takes, we are sure that he will conquer his goals and make his mother proud. Source: Kids Count Data Center. The Annie E. Casey Foundation. http://datacenter.kidscount.org/. Both Kelvin and Helen Dosumu immigrated to the United States from Nigeria, West Africa, several years ago, in search of expanded opportunities. After marrying and having a daughter, whom they named Blessing, they knew that they wanted to give their child every opportunity possible for a successful life, including a quality education in a safe environment. As residents of Conyers, Ga., they were aware that crime in the area was prevalent – with the crime rate in the area averaging 80 percent higher than the rest of the state of Georgia and 110 percent higher than the national average. Therefore, when it came time for Blessing to start school, they wanted to make sure that their daughter would be in a safe environment and one that would help her get a jumpstart on her education. 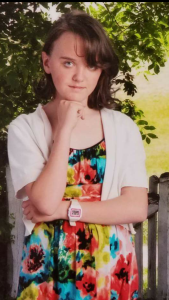 Unfortunately, they were not satisfied with her assigned public school and so they opted to send her to a private school – Woodlee’s Christian Academy, which provided an academic program that suited Blessing’s learning needs and provided a safe environment that put her parents’ minds at ease. At the time, Kelvin’s job enabled them to fit the tuition into the family’s budget, even if it made finances tight. Their daughter’s safety and academic future were top priority. 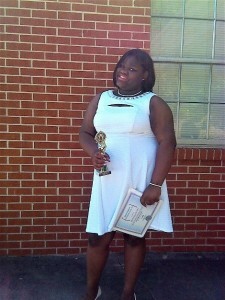 Blessing excelled at her parent-selected school, regularly bringing home A’s and making the school honor roll. Unfortunately, Kelvin lost his job before Blessing began the third grade, putting the family in a position where they could no longer afford the tuition. With seemingly no other options, they had to transfer Blessing from a school where she was excelling to their area public school. Because of their prior research on schools in the area, they knew the area public school was not a good fit for their daughter and worried about the impact the environment would have on her progress. 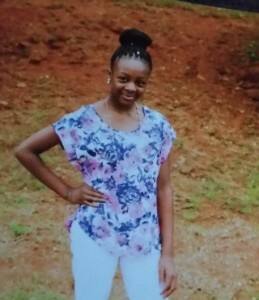 Desperate to find a way for Blessing to transfer back to Woodlee’s Christian to continue her education, they learned about the Georgia tax credit scholarships available through AAA Scholarship Foundation. Eager to keep their daughter on track, Helen and Kelvin applied for the scholarship immediately and were elated when they learned Blessing was approved. “The AAA Scholarship gave us hope and the ability to send our daughter to a school that brings out the best in her academic abilities,” says Helen. Blessing continued to thrive at Woodlee’s Christian and at the beginning of the 2014-15 school year, she transferred to Young Americans Christian School (YACS) for her 5th grade year. YACS is a school that was founded by area families, who just like the Dosumu family, were seeking a quality educational environment for their children. The school began with just 24 preschool students who met in a local church facility. As demand for the school’s educational services grew, and with support from the community, additional grade levels were added over the years. Today, YACS serves more than 500 students, making it the largest private school in Rockdale and Newton counties. In addition to its traditional educational programs, YACS has also added a STEM LEGO curriculum for elementary school students, as well as a dedicated STEM classroom for middle and high school students, helping to increase student skills in science, technology, engineering and math through fun and engaging activities. Blessing continues to excel at YACS, bringing home A’s and keeping a spot on the school’s honor roll. Well aware of the opportunities she has been given through the scholarship, she is taking full advantage of the school’s academic programs and has developed a strong interest in science and math thanks to the YACS robust STEM program. Although only 12 years old, Blessing has grand aspirations for the future, which include pursuing careers as both a doctor and a singer. The typical AAA Scholarship student is an ethnic minority living with a struggling single parent/caregiver in a high crime community. The average household income of families accepted to receive scholarships is $23,559 for a family of four. Many children are either below grade level, failing at their previous school, or both, when they receive a scholarship. Parents, who find their children in these circumstances and care about their future, look for viable options. They seek an atmosphere that challenges their child to reverse inadequate learning and/or social patterns and the potential lifelong negative impact. They wish to change their child’s learning environment, acquaintances and the unfortunate predictable outcomes associated with school failure. AAA Scholarships are funded in Alabama, Arizona, Florida, Georgia, Nevada and Pennsylvania by corporations that redirect a portion of their state tax liability to the AAA Scholarship Foundation in exchange for a tax credit (dollar-for-dollar in Alabama, Arizona, Florida, Georgia and Nevada, and up to 90 percent in Pennsylvania). AAA Scholarship Foundation is one of the only approved Scholarship 501(c)(3) Nonprofit Organizations exclusively serving qualifying low-income, disabled and/or displaced students through these Scholarship Tax Credit programs. AAA Scholarship Foundation provides your company with the convenience and efficiency of a single-solution for participating in multiple state tax credit scholarship programs. For more information, or to learn how your corporation can participate in the program, visit www.AAAScholarships.org, or contact Kerri Vaughan at kerri@aaascholarships.org or 888 707-2465 ext. 730. 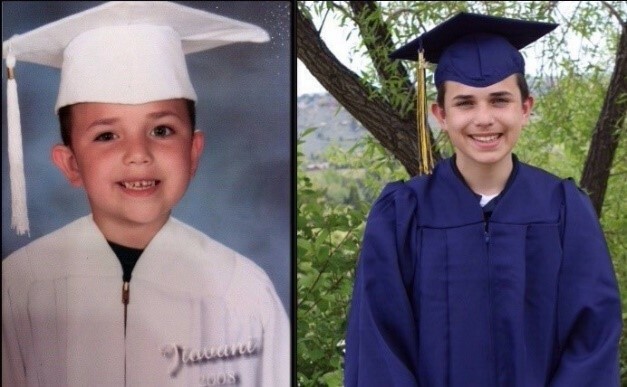 It was the fall of 2015 and – just like many other parents – Yazandra Ramon was nervous to send her youngest child, Michael, off to start Kindergarten at his area public school. She wanted to see Michael get a good start on his education and knew that the first years of school would be important to his future success. As a primarily Spanish-speaking family, she also wanted to make sure that Michael did not fall behind his peers. And the statistics back up her concerns. In Florida, 61 percent of 4th graders are reading below proficient, and that number jumps to 91 percent for those students who are English-language learners[i]. It is well documented that children who reach the 4th grade without adequate reading skills are more likely to drop out of high school, negatively impacting their future[ii]. To Yazandra’s relief, Michael did very well during his Kindergarten year. However, right before he was set to continue on to first grade at the same area public school, the Ramon family received bad news. They found out that Michael was now zoned for a different public school. Yazandra was worried about switching Michael from a school where he was excelling and decided to go visit the new school to get a better sense of the learning environment. Unfortunately, instead of easing her concerns, the visit to the school only increased them. As she walked around the neighboring area thinking about a solution to her family’s dilemma, she came across St. Joseph Catholic School. Not knowing what to expect, she walked through the school doors and began talking with the staff about their school and academic program. Yazandra learned that St. Joseph was part of the Notre Dame ACE Academies and was impressed by the school’s curriculum and culture. To top it off, St. Joseph’s friendly and safe environment seemed to be a wonderful fit for Michael. The only problem was the tuition. The Ramon family works hard to make it on Michael’s father’s income as a construction worker, and there was no room in the budget to afford private school tuition. However, the school staff informed her that her family may be eligible for a Florida Tax Credit Scholarship from the AAA Scholarship Foundation to help cover the costs for Michael to attend the school. She immediately applied for the scholarship, hoping that it would be the solution she was looking for. The day Yazandra received the scholarship approval letter from the AAA Scholarship Foundation, she was overcome with emotions of relief, joy and gratitude. Now in the first grade at St. Joseph, Michael loves his new school where his favorite subjects are math and science. He has also developed an interest in music and is learning to play the violin – an art he is able to further expand thanks to St. Joseph’s arts education partnership with Patel Conservatory, a fine arts training center in Tampa. The typical AAA Scholarship student is an ethnic minority living with a struggling single parent/caregiver in a high crime community. The average household income of families accepted to receive scholarships is $23,559 for a family of four. Many children are either below grade level, failing at their previous school or both when they receive a scholarship. Parents, who find their children in these circumstances and care about their future, look for viable options. They seek an atmosphere that challenges their child and will reverse inadequate learning, social patterns and the potential lifelong negative impact. They wish to change their child’s learning environment, acquaintances and the unfortunate predictable outcomes associated with school failure. Jiovani Hernandez-Almanza struggled in school for as long as his mother, Elizabeth Almanza, could remember. However, with the right academic setting, supportive teachers and financial assistance from the AAA Scholarship Foundation, Jiovani has completed an incredible turnaround, transitioning from a failing student to one who brings home A’s and B’s and has goals for the future. Overcoming obstacles is nothing new to the Almanza family. When Jiovani was four years old, his parents divorced and his father left the country, leaving his mother to care for him alone. Despite the devastation, Elizabeth vowed to take care of her small family, which included temporarily moving in with her parents to get on her feet. Determined to make it on her own, Elizabeth often worked two jobs to make ends meet. Things were tough at times, but the family of two made it one day at a time. However, one issue that they continued to struggle with was Jiovani’s performance in school. Jiovani had attended his area public school since Kindergarten, but over the years, Jiovani’s problems in school began to worsen with a mix of social influences and peer pressure from fellow students. By the time he reached middle school, his grades had plummeted to F’s in all of his classes. Fearing for her son’s future, Elizabeth looked into the other school options in their area and found what she thought would be a good match for Jiovani at Riverview Christian Academy. She made sacrifices and scraped up enough money to enable him to enroll in Riverview during his 7th grade year. Elizabeth’s instincts about the school were right. After only one semester at the school, Jiovani brought his grades up from F’s to A’s and B’s. While Elizabeth was overjoyed with her son’s academic improvement, she still worried about being able to afford the tuition for Jiovani to continue at the school the following year. She was struggling to make ends meet and affording the tuition seemed out of reach. However, despite her resistance to ask for financial help, a secretary at Riverview encouraged her to apply for a tax credit scholarship from the AAA Scholarship Foundation. When she received Jiovani’s scholarship approval letter a short time later, she was overcome with joy and a sense of relief for her son’s future. Since receiving the scholarship, Jiovani graduated from 8th grade at Riverview Christian and began his freshman year at Excel Christian School in the fall of 2016. He continues to thrive academically with a strong interest in science, and has even begun playing football for the school team, something he always wanted to do. Additionally, although he still has a few years before graduation, Jiovani is already thinking about his future plans. For now, that includes aspirations of joining the United States Navy and serving as a firefighter. Click here for a pdf copy of this student spotlight.